The government on Saturday said that it has decided to advance the dates for implementation of the roll out of higher level Bharat Stage (BS) V & VI norms for the four-wheelers by three years. The Ministry of Road Transport & Highways drafted a notification to roll out the BS-V and BS VI norms from April 1, 2019 & April 1, 2021 respectively. As per the roadmap earlier lay down by the Auto Fuel Policy, BS-V norms were to be implemented from April 1, 2022 & BS-VI from April 1, 2024. The Ministry’s decision does not mean that it will skip BS-V and go in for BS-VI standards directly. At one stage, there had been contemplation over skipping the BS-V stage for faster redressal of the pollution issues. But many automotive bodies, including SIAM, had opposed the skipping of the BS-V norms. The norms aim at the substantial reduction in NOx/4C levels. The Ministry’s statement attributed the advancement of implementation dates to Nitin Gadkari’s “keenness” that the road transport sector must take the lead role in dropping the harmful effects of emissions on environment and climate change. This reveals a firm commitment to play a chief role in reducing vehicular emissions. The Ministry said draft norms for two & three-wheeler categories will be notified shortly with advanced timelines similar to the four wheeler category. Currently, nearly 35 cities in India follow the BS-IV norms with the rest adhering to the BS-III standards. Different Ministries have been debating over the timeline for the introduction of the BS-V and VI emission standards. Many countries in the West have already put a Euro-VI standard in place. BS-VI is its equivalent. As things stand, India is 5 years behind the emission standards already adopted by European countries. According to the Centre’s expert committee, the automobile industry would require investments worth Rs 50,000 Crore for transitioning from BS-IV to BS-V. And an amount of Rs 60,000 Crore will be essential to produce BSIV/BSV diesel from refineries. This Implementation would definitely lead to rise in price in new vehicle market and thus it would be difficult for people to own the vehicle. But being the leader in the used vehicle industry, Shriram Automall India Limited will come to the rescue of such people who can invest their resources in commercial vehicles and used cars in India. Toyota Prius 2016 edition will debut in India during the Auto Expo in February 2016. The 4th gen of the popular hybrid had its public premiere at the Frankfurt Motor Show this year. The latest version features higher fuel economy & comparatively lesser CO2 emission. 2016 version of Prius is based on company’s all new (Toyota New Global Architecture) TNGA platform. Toyota is also claiming that the car is up to 60% better rigid, thanks to its strong adhesives, laser screw welding, and a cylindrical frame. strong 97 bhp at 5,200 rpm and 142 Nm of torque at 3,600 rpm. It is supported by an electric motor, that sources power from a new nickel metal hydride battery, & give a further 71 bhp. The wide instrument panel is seamlessly designed to be both purposeful & beautiful. It is meant to give a sense of comfort and spaciousness to the driver. The Prius in India would continue to be imported through the “CBU” route. With its launch in India we are sure that the Prius will take the industry by storm. Its bold & sharp designs are all set to impress one and all. If you are looking to buy a used car in India than Shriram Automall is the right place to be. They offer a wide range of used vehicles for easy disposal through their effective bidding platforms. If you are not able to purchase this new car, don’t worry you can easily purchase used cars or any other used vehicle or equipment through Shriram Automall India Limited. A wide range of used cars and SUV’s are available which can be acquired by different platforms. Drive Under the Guidance: The first and foremost tip for every learner is to always drive under somebody’s guidance before you get familiar to all controls. The person who is teaching you must have some experience in training or instructing others for this purpose. It is recommended to learn driving from a recognized driving school. The teacher will help you know the dos and don’ts of the driving process. You can always pick up some valuable lessons from them and add it to your skills profile. Adjust the Driver’s Seat: Every amateur driver must know how to adjust the seat for a proper & comfortable position and adjust the rear view mirrors to properly manage control over the car. Always sit upright with your back well supported by the seat to prevent tiredness or injuries. Even pro drivers must adjust the seat properly to be fully in control over the car. Excel the Basics: One of the most important car driving tips for beginners, always try to excel in the car driving basics to easily handle the car in future as well. The speed is not that necessary as much excelling in basic instruction and plans is. Learn how to slow down, apply brake in emergency, and most notably how to get out from traffic. Have a Calm and Composed Mind: It is the first thing to be learnt, always remember a calm mind saves and works more efficiently under pressure and critical situations than a chaotic one. Try to drive without panicking and get out of the traffic around you. It will help in preventing any kind of mishaps in future and add up as a skill in your driving resume. Follow Rules and Regulations: As much you would hate to obey, never forget you are walking on roads and not in school. Any kind of mistake while driving can injure someone badly or in worse conditions end somebody’s or your own life. There is nothing wrong in following traffic rules and taking care of yours and other’s life. Do not use Mobile Phones: The most important driving tip for learners, ‘do not use mobile phones while driving’. Mobile phones disturb your concentration and engage your attention and hands. It is highly advised not to take calls or revert to messages, keep your eyes on the road and handle the steering wheel properly. Learn When to Shift Gears: It is one thing that you learn only with the time and is included in the later or final car driving tips for the beginners. It is important to learn about the right time to change the gears and not to develop a habit of frequent gear shifting as it can cause wear and tear to your car way too early. If you are learning to drive and planning to get a car, connect with Shriram Automall where you can easily own second hand cars in India of your choice. Used Cars can be easily acquired through Shriram Automall’s online as well as physical bidding platform. EXCON, an international construction equipment & technology trade fair began by making the right news. The construction equipment industry is all set to play an impact role in the ‘Make in India’ initiative & will grow about two-fold to $5 Billion by 2020. As per the announcement made by CII & EXCON chairmen, Vipin Sondhi, "The domestic construction industry is set to become a driving force in 'Make in India' initiative. From a $2.8 billion industry at present it has the capacity to grow to over $5 billion by 2020 on the back of infrastructure growth which is bound to take place under the present regime". The current data has projected & lowered down the earlier projections made by industry pundits of reaching to $20 Billion by 2022. However the experts are certain that the industry is bound to grow aggressively post 2020 backing on the steps taken by current government. Sondhi also said that the de-growth has stopped and amid the proactive measures by the government, especially in the highways sector, the industry is set to grow manifold and bound to bolster economic growth. Now as per the current predictions by the industry experts we are optimistic that the industry & country’s economy will grow on an increasing rate due to the above driving factors. Meanwhile if you are looking ahead to acquire a used construction equipment in Bangalore than paying a visit to Shriram Automall will certainly result fruitful. You will be able to inspect a wide range of used construction equipment & acquire the best one. SAMIL also offers easy finance & trade advance facility to all its customers for their bulk vehicle requirements. The company also offers professional allied services like parking, refurbishment, valuation & documentation as per customer requirement. Looking for a used vehicle when you plan to purchase is such a tiresome task. One cannot ignore all the research that is needed to finalize the vehicle or equipment. Even though there are many options available online as well offline, still a lot of times people do not get the satisfied results. In case of online platform, you have so many options to choose from and if you don’t connect with a trustworthy dealer you have a lot of chances to be stuck in the fraudulent transactions. While offline mode that is physically finding vehicles have limited options. You can’t resort to the activity of going and checking every individual vehicle at different places. So what is the solution for finding the right vehicle in a very less time? For this Shriram Automall India Limited has a perfect service. One Stop Classified Kiosks are what you can call a perfect solution for this issue. At one stop kiosks you can select the vehicle of your choice that too very easily by just using a single machine. It is basically a standalone unit, through which you can look for the vehicles you want or need. It can be easily managed, to get the desired results and the informative interface makes kiosks an instant attraction. Highly interactive, a kiosk does not need any management interference but customer support for the ease in transactions. Using One Stop Classified Kiosk is very simple, quick and convenient. From just a single place you are able to see vehicles from all around the country. One stop Kiosks are available at all Shriram Transport Finance Company’s Branches and at major Shriram automall Branches. By visiting One Stop Classified for Vehicles page, you can find the one stop service information on the website. • A bidder can check out the inventory list at one stop classified kiosk with the assistance of SAMIL’s executives at an Automall. Using the Kiosk is a very easy task which makes customers preferring the Intranet Kiosks over other options. • Once the bidder decides to acquire a pre-owned vehicle through one stop classified kiosk, he/she can get the registration done by filling up a registration form paying Rs. 100 as registration fees. Less amount of registration fees attract customers more. • Post registration, the customer is given a User ID and Password. That helps him/her to access the one stop classified kiosk and further inspect the vehicle in detail. Inspection of vehicle provides customer with detailed information about the vehicle. • After inspection, a buyer can get in touch with the Automall Manager for further assistance. Automall managers assist the customer at every step to make their journey successful with SAMIL. After a consecutive decline in the sales of super sports cars for three following years the super sports car market is expected to be back on vogue this year. The segment is expected to view a high single digit growth due to improving economic sentiment & return of big brands like Ferrari & Maserati. The return of confidence can be proved by the fact that that two of the most expensive cars the limited edition variants of Aventador LP Roadster and the Aventador LP Coupe, carrying a price tag of about Rs 8 crore were sold by Lamborghini recently, in India. Also The Italian Super Sports car maker Lamborghini launched its new entry level sports car the Huracan LP 580-2 in India (Rs 2.99 crore - ex-showroom New Delhi), which makes India the first market in Asia Pacific to get the vehicle. The year 2014 due to rupee depreciation, spike in taxes the super sports car makers were not able to achieve the targeted number however this year they believe the sentiment in the market is stable & people are deciding quick on making the purchase decision. Fiat Chrysler Group Company also plans to inaugurate a new showroom in Bangalore & Mumbai. It has already setup a national sales company for Maserati. With these major developments in the segment we are hopeful that the sales will increase on an increasing rate in the FY 15 & will continue to show positive signs in FY 2016 as well. Purchasing a pre-owned tractor makes sense as you can save a lot money or might get one in your limited resource, depending upon your situation and needs. Well-maintained used tractors provide close-to-new situation at a lesser cost for those looking to add to their fleet or make their very first equipment purchase. While you decide to own a tractor, you tend to come across many factors in between the process. While purchasing a used tractor is totally different from purchasing a car or any two wheelers as tractors involve working on terrains of carrying off loads. • Compact Utility Tractors – These are smaller tractors designed to be used for many everyday landscaping and grounds maintenance applications. • Utility Tractors – Versatile in capability, general-use utility tractors are often used for grounds maintenance, wagon pulling, and even hay production. • Row Crop Tractors – These tractors are more specialized in the tasks they are designed to perform. They are well-suited to work well with a range of field-use implements and applications. • Articulated 4WD Tractors –Generally used in grain operations to handle tillage and seeding type work. Also often used for land leveling and dirt transportation. The most important factor in any major purchase is the price of the asset. Quality used tractors are available even for the lowest budgets. If you have a pre-decided price you can easily make a decision about purchasing the used tractor. Once you’ve narrowed down your list to various used tractor models that would be perfect according to your needs and fits your budget, it’s now time to research about it. Look for all the particulars of the model, its capabilities, history and usage. You can use internet for this step or take the help of user manuals. After deciding on a particular tractor, check for the transaction and finalise the deal. Ensure that the spare parts are available in future as well. Wrapping up the deal is typically quite straightforward once you’ve selected just the right tractor for your needs—most experienced sellers will be able to guide you through the process of closing the deal. 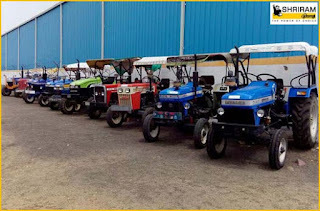 Shriram Automall which is the leader of the used vehicle and equipment industry has a wide range of second hand tractors and other used commercial vehicles which can be acquired easily through SAMIL’s physical and online bidding platforms. Honda Motorcycle and Scooters India (HMSI), the country's second largest two-wheeler maker launched a new sporty version of its executive motorcycle CB Shine SP at Selling Price of Rs 59,900 to Rs 64,400 (ex-showroom New Delhi). Already an established leader in the 110-125 cc categories with 46% share, Honda has expanded the family of Shine bikes with the Shine SP range to reach out to 30 year old entrepreneurs who are seeking an advantageous offering from the company. The new Honda CB Shine SP is expected to bring additional 3 lakh units pa to the Shine family, according to people in the knowledge of the plans. The new Shine will be in competition with Hero's “Super Splendor and Glamour” and Yamaha's new “Saluto”. The new range of CB Shine SP is equipped with a 5 speed gear box to enhance intra-city riding which delivers 15% reduction in vibration. The vehicle now comes with digital analog meter console, Honda Eco Technology (HET) engine along with Combi-Brake System (CBS), which off-late has become a norm for all the vehicles Honda introduces. The company claims the new CB Shine delivers a fuel efficiency of 65 kilometers per litre. Shine is already the leading motorcycle brand for Honda globally. The new Shine family will further help grow the Honda franchise in the motorcycle space, which has been a big challenge for the company. HMSI is also expected to launch its 160cc CB Hornet in coming month. The bike was showcased a few months back. This bike is expected to replace the CB Trigger. The company however claims that it is currently constrained of capacity and is juggling the production b/w scooters and some of the higher demand motorcycle models like Livo, which has got good response from the market. As in opposition to the internal expectation of selling 15,000 to 20,000 units of Livo motorcycle a month, the company is now ramping up the capability of model to 25,000 units to cater to the increased demand. You can also purchase second hand bikes and used two-wheelers just by connecting with Shriram Automall India Limited. The company has a wide variety of used vehicles and equipment which can be acquired using online and physical platforms. You can also avail Insurance, Finance and Parking services from SAMIL. We all are aware of the fact that SUV’s are shrinking in India. Compact Sports utility vehicle & crossovers made the waves in 2014015, now get ready to be moved with the wave to be generate by micro SUV’s that car manufacturers will be launching early next year to woo the entry level buyers in the Rs 3-6 lakh bracket. Renault Kwid took the market by storm with its SUV like looks 2016 will see the launch of some interesting micro SUV’s like Mahindra XUV 100 also called S101, Datsun’s Redi Go & leader Maruti Suzuki's Ignis, which is expected by the festive season next year. Customers will also be able to buy the compact crossovers just by adding couple of lakhs. The list include Maruti Suzuki's sub-4 metre SUV based on the XA Alpha concept car, Tata Motors' stylish Nexon and Mahindra's upgraded Quanto — all expected within the price range ofRs 7 -Rs 8 lakh. The 'entry SUV' or crossover-styled vehicle is a segment that's unique to India and a select few markets. It's the extension of the Indian car buyer's fondness for novelty, which resulted in the creation of sub-segments over the past decade including the 'entry-level sedan' and the various derivatives of compact cars and hatchbacks. The key trigger for vehicle manufactures for shrinking the size of cars has been the government’s incentive to make smaller cars. A sub-4 meter vehicle attracts half the excise duty of 12 per cent for bigger vehicles. And these sub-4 meter sedans are making their way across the globe, potentially positioning India as a major export hub for this new segment. The fact that Renault Kwid garnered over 50,000 bookings within a month is a clear testimony to the fact that people want to have something different and disruptive. Sure, there is room for more players provided they offer something innovative. Do you have used construction or farm equipment available to be sold off? It’s evident that you must be looking forward to dispose off your vehicle and get a good price for it. Most heavy equipment demands a significant pay out of cash to purchase initially and to preserve indefinitely, who wouldn't? So it only seems reasonable to want to earn a fair amount of your investment when it comes time to dispose it off. Do the homework and research about equipment’s pricing and industry trends. Use the most recent info you can find and establish a price range for your equipment. Having a price range will be of assistance for you negotiate confidently and set practical price expectations. The type of equipment you are disposing, its condition and how quickly you need to complete the sale, there is a method best fit for your equipment and situation. To know what method would work best for you, educate yourself on the pros and cons of common methods, including unreserved auctions, reserved auctions, private sale, equipment dealers and equipment brokers. Consider the amount of time and effort you will need to put into the selling process and the number of latent buyers you can reach without the help of a skilled person in sales and marketing. You can save a lot of time and money easily with a full-service solution, mainly if you are a first time seller. The way your equipment looks can either discourage buyers or attract higher offers. Before you put the equipment for sale, consider refurbishing the used equipment. Refurbishing can include cleaning, glasswork, upholstery repair, painting, or everything in the refurbishing options. Typically, refurbishing is a small investment that gets you big returns. Try to target the most equipment buyers you can, but don’t sacrifice quality for quantity. Work with an equipment seller that not only actively works with a large population of equipment buyers, but targets its marketing efforts based on the industry, your equipment is best suited towards and the region in which there is the most demand. Provide detailed photos and information about your equipment. Include photos documenting the condition of the undercarriage, engine compartment, cab interior, etc. If you are using a selling agent or bidding company, choose one that publishes detailed equipment info online and also arranges on-site inspections. When you receive a satisfying offer, the last thing you want is for the deal to be completed. Screen potential buyers before you accept any offer or work with an agent who verifies the legitimacy of potential buyers on your behalf. If you have a fleet that you will be turning over every 3-5 years, or predict the need to upgrade equipment in 5-10 years, make a good reputation with the prospective buyers and sales executives. The more you work together, the better your representative will understand your business and be able to get you the best results. Learn more about how to dispose used construction equipment by connecting with Shriram Automall India Limited (SAMIL). At SAMIL, you can easily acquire or dispose your used vehicle by accessing SAMIL’s online and physical bidding platforms. Used trucks, cars and SUV’s, three-wheelers, two-wheelers and farm & construction equipment are available at SAMIL to choose from. In Today’s world constant care is required for your used cars to keep them like a new one. So we are providing you with easy maintenance tips that should be known by everyone and will definitely be proven useful for women. Change the Flat Tire: There are a lot of chances of coming across a flat tire. Even greater than most of the mechanical issues but what’s worse than getting a flat tire is waiting on the help of someone to come and change it for you. So it’s better to learn changing tire by yourself to save your time and moreover you won’t have to depend on someone. Change the worn out wipers: Wiper blades must be changed every six months. Check for cracks frequently, and remember to clean the dirty wiper blades with a wet paper towel. o Under the hood: Check as frequently as possible. Once a week or in every 2 weeks. o Tire rotation: Rotate the tires every 6,000 miles following the manufacturers’ rotation suggestion. If you have a matching spare, include it too in the rotation pattern so when it is time for change, it will run smooth and last long. o Align & Balance: Have your car checked after every 10k-12k miles or the first time you notice any unusual steering or a vibration while speeding. Fuel: Regular fuel is satisfactory for most subcompact cars and SUV’s but for the luxury vehicles, like Cadillac, Mercedes, Audi premium fuel is always recommended. The heavier the load inside of the car, the more power the engine will need to move the car. Weight indeed affects your fuel too. If you are traveling with lots of people or toting around luggage, expect your fuel to run out a little sooner. Nonetheless, having your fuel limit at the half or above will allow your car to run a bit smoother. Brakes are most important: We get caught up in our day to day habits so much that we don’t pay attention to our car until there’s a major issue. One thing that can cost you a lot if not caught beforehand is brakes. Always pay attention to the sound your breaks make while driving. If you begin to hear squealing, it’s probably the right time to change your pads. Always be aware that while driving stay another car distance behind the car which is in front of you so when it comes time to stop, you will easily be able to do it. Don’t drive so close that you have to slam on your breaks every other second also texting while driving also causes sudden brake slam so it’s better to keep your phone out of your hands). If you take care of your car properly, your car will take care of you. If your car doesn’t have a lot of issues to deal with you can avoid recurring huge expenses. So its better to do some research, read your manual beforehand. To own the car of your choice, you can trust Shriram Automall India Limited, who is the leading service providers for used vehicles and equipment. SAMIL provides its customers with best of the platforms using which customers can easily own the used cars in India of their choice. From small cars to SUV’s and premium class, you can easily find the used car of your dreams at Shriram Automall India Ltd.
Hyundai one of the largest car maker in India has launched its Global premium Luxury brand ‘Genesis’. The brand is marketed as a separate entity of Hyundai & will launch 3 new models namely the ‘G70’, ‘G80’ & ‘EQ900’ under the Genesis umbrella. The company is preparing to launch its flagship sedan to India to compete with the Mercedes-Benz E-Class, BMW 5 Series, Audi A6 and the Jaguar XF. Globally the company has offered two engine types a 3.8-litre V6 GDI that produces 315PS and a 5.0-litre V8 GDI that churns out 426PS. Both the engines have 8 speed automatic transmissions through which the rear wheels are powered. Genesis is the right mix of all the frills & thrills expected in a luxury sedan, the Hyundai Genesis also comes equipped with a 9.2-inch high definition touch-screen interface and a 17-speaker Lexicon audio setup. Design of the EQ900 is inline with Equus test model that was earlier spotted in Koria, as seen in the LED headlamps, LED DRL design, C-pillar design, and the 6-point Genesis grille. The Genesis G90 will measure 5,205 mm in overall length with a wheelbase of 3,160 mm, while a long-wheelbase version will measure 5,495 mm long with a wheelbase 3,450 mm. With the launch of Genesis there is no doubt in the mind set the company has made to enter the luxury segment in a big way. Meanwhile we are sure that the brand will get the required limelight upon its launch in India as it has generated good buzz around the world. If you are looking to acquire used cars in luxury segment than Shriram Automall is your one stop destination. The company offers a wide range of used cars at a fair price. Moreover you can take benefit of their easy finance option available for all. It’s a mid afternoon of a beautiful day at work when you receive a business call asking you to delivering goods at a distant location. Being a smart truck driver you thought to plan your trip according to your abilities and itinerary for effective time management and for a stress-free journey. There are a lot of consequences for not planning a trip like over fueling, not finding convenient truck stops for meals or night-time resting, travelling through unknown and unsafe areas, not knowing where repair shops are located, and late delivery which will shatter your reputation. 1. Set your truck speed – Finding out your truck’s maximum speed & set a speed to cover desired distance per hour is a wise decision. You also need to consider time for stopovers like eating, fueling, toll plaza crossing etc. of course unforeseen situations like bad traffic & weather may reduce the total distance covered. 2. Set a goal for daily stops – Long distance truckers’ needs to plan their daily stops effectively. It is important to decide in advance the time and location for the stops. Weather, traffic volume and delays, terrain, and border crossings are the factors that are needed to be considered. 3. Plan Your Fuel Stops – Refueling is important and what’s more important is to decide your fuel stops well in advance. This will not only ensure that you are prepared in advance but also will save a lot of your money. 4. Know where essential services are located – It is recommended that you move through the routes where you can easily find essential services of good restaurants, parking, good truck stops, repair shops etc. Knowing where essential services are located can help you plan your stopovers in advance, and provide confidence and a sense of security during long trips. 5. Keep a check on weather reports – Having a complete understanding of the weather conditions of all the areas you have to cover during the course of your journey will be very useful. Having knowledge of the weather beforehand can prevent accidents and save precious time. 6. Take elemental necessities on your journey – Planning for road trip is not as difficult as it may seem. Cell phones, truck routing software, exit books, online resources for truck locations, groceries and services, and navigational tools such as GPS, map book, etc. and other elemental necessities are important to have a smooth road trip. To get the best deals on used trucks in India and other commercial & non commercial vehicles, simply visit you’re nearest Shriram Automall. Shriram Automall India Ltd. is a one stop destination where you can find solutions for all your pre-owned vehicle needs. Having a wide array of vehicles and equipment, Shriram Automall is the leader in the used vehicle industry. 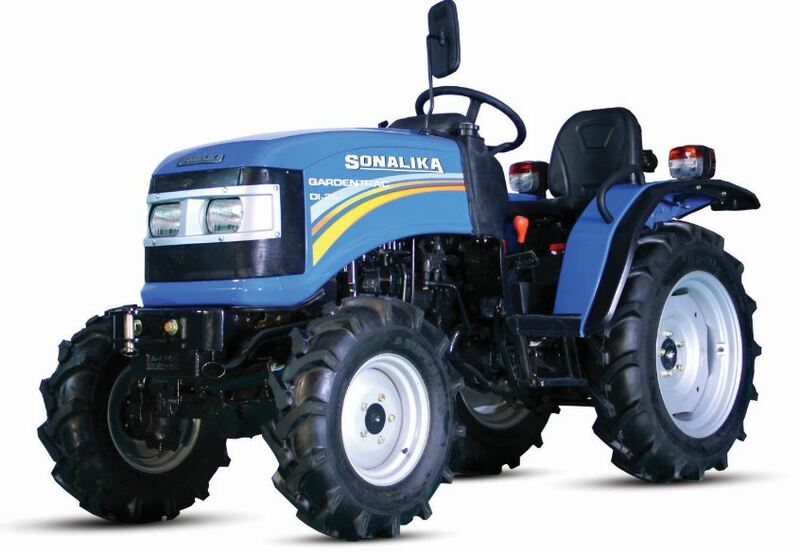 The Sonalika Group, the number three player in the Indian tractor market, is taking some steps to reinforce its position as well as expand its allied businesses. 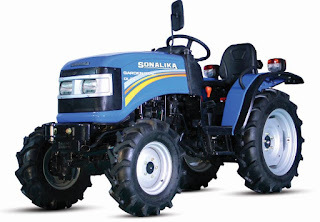 Sonalika International Tractors Ltd launched two new tractors, namely GardenTrac 26 and Rx 30 Baagbaan Super tractors during world famous Dussehra fair at Kullu. The tractors are designed keeping in mind about the needs for apple orchards in Kullu valley and row crops. Both the tractors are technically advanced 26HP and 30HP orchard tractors that feature extremely powerful engine, power steering, and a hydraulic system with automatic depth and draft control (ADDC) for ease of operation. These highly fuel efficient tractors can easily work on strenuous operations for long hours. These tractors are light and compact with small turning radius and come in four-wheel drive which provides better traction for operation across terrains. Every component of the tractor is engineered to operate without breakdown or stress in all heavy duty operations. The new advanced Gardentrac 26 and Rx 30 Baagbaan Super tractors are expected to be a great asset to Orchard farmers. Both the tractors are designed in keeping up with today’s demand that suits intercultivation, spraying, Rotavator and other operations where small tractor with heavy duty power is necessary. The company has been able to become the fastest growing tractor manufacturing company in India today. This shift has been possible mainly because of the blending of the technology and farmer’s requirement to offer a holistic package to them for improving their present yields and ultimately their farm income. With international technologies, state-of-the-art production units, experienced teams and tailor-made solutions Sonalika has responded really well to its customers' needs in India and abroad. They believe the coming years will bring the same results for them, their associates and their customers provided we go along with the same fervor and optimism. 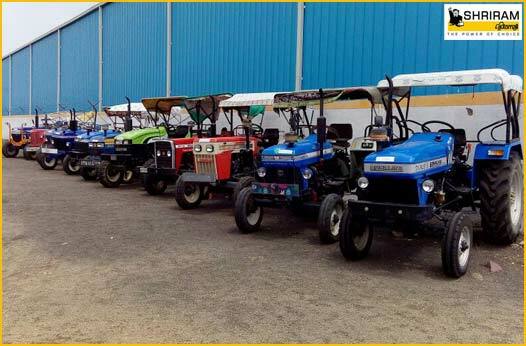 Acquire your choice of second hand tractors by connecting with Shriram Automall India Ltd (SAMIL). Used Tractors and other commercial and non commercial vehicles and equipment are also available with the company which can be bought through SAMIL’s online as well as physical platform.